The Marina 2-in-1 Floating Fish Hatchery is ideal for breeding and raising fish in community aquariums. The Floating Hatchery provides a safe floating haven for live-bearing fish and fry, it has two separate areas for expectant fish and a segregated bottom compartment that safely collects and protects falling fry. The Marina 2-in-1 Floating Fish Hatchery is ideal for breeding and raising fish in community aquariums. 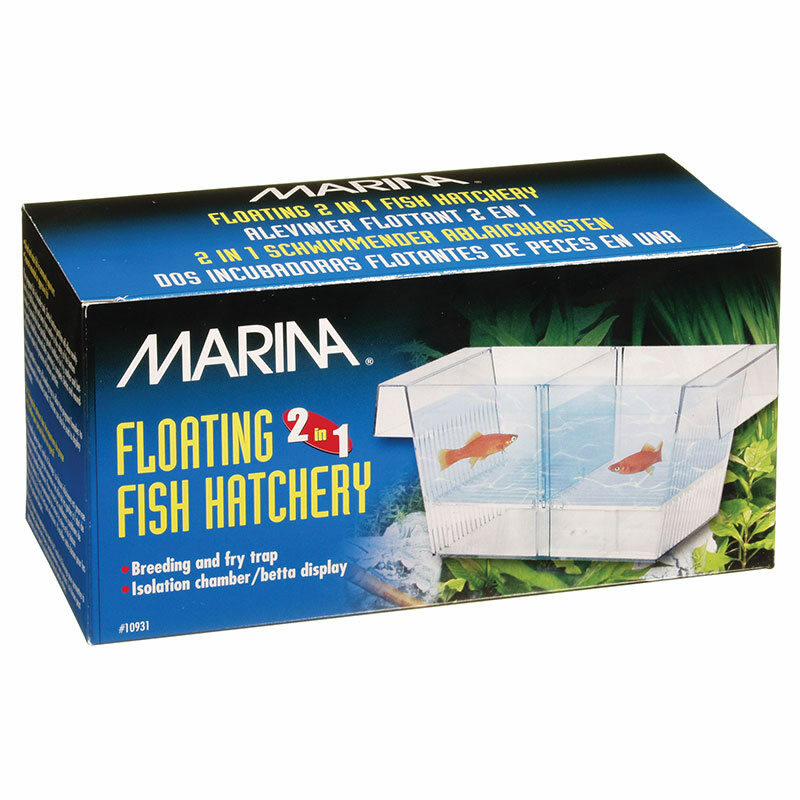 The Floating Hatchery provides a safe floating haven for live-bearing fish and fry, it has two separate areas for expectant fish and a segregated bottom compartment that safely collects and protects falling fry. The Hatchery is equipped with a centre divider that allows you to keep two pregnant fish at once. The Fish Hatchery can also be used as a safe-house for wounded fish or to segregate aggressive fish.